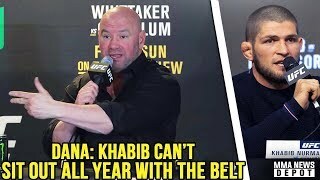 Adesanya is overhyped as many people have said, he hasn't beaten anyone top 5 so far and he even kind of got schooled in quite a few parts of the fight and lost the second round vs Anderson, and Anderson is an old man. Remember that Adesanya right before he got into the UFC was KO'd cold in kickboxing. 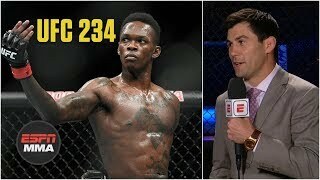 Adesanya is is basically like an inferior version of Anderson Silva, he lacks power and he is too robotic and can't flow like Anderson Silva did. It makes you appreciate just how great Anderson Silva was in his prime, BTW I think a healthy Robert Whittaker basically TKO's or KO's Adesanya. Adesanya simply lacks power, and we all saw in kickboxing that he has a glass chin. So Tony Ferguson missed his opportunity to fight for the belt for a guy that attacked a bus full of fighters and caused them injuries.